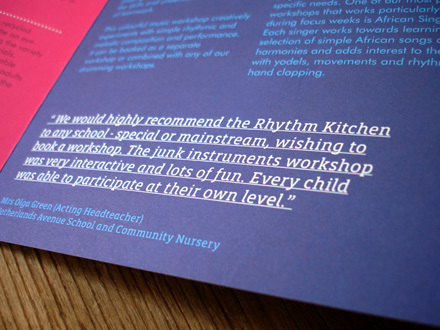 Rhythm Kitchen develops alternative music workshops and collaborative arts projects for children and young people of all ages. 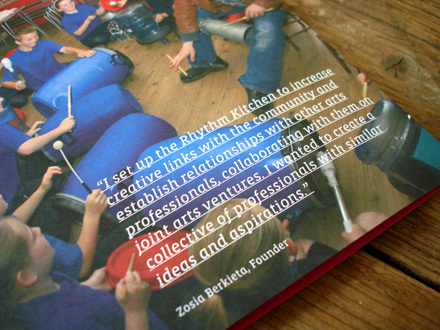 They are committed to inspiring, motivating and encouraging children through creativity. 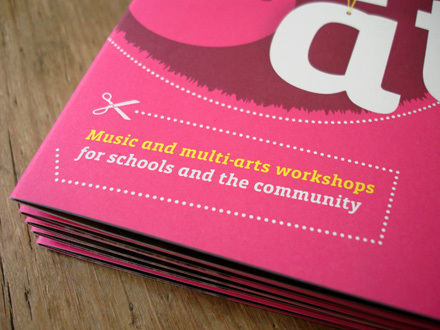 With an emphasis on building confidence, self worth and self-expression they create and run workshops and projects for schools and community groups. 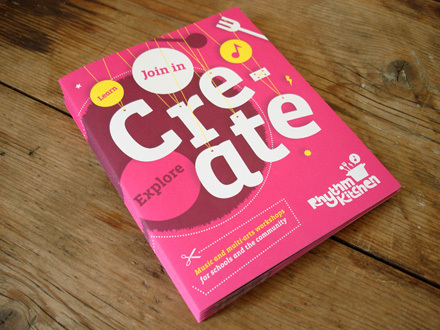 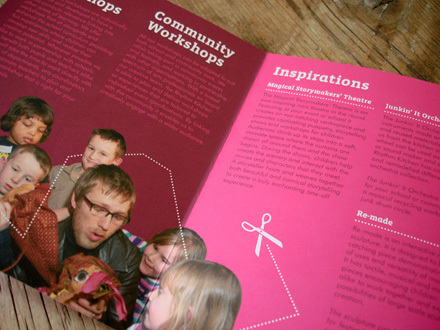 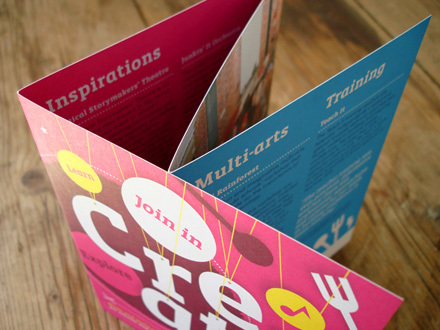 This 8 panel folded brochure showcases the variety of multi-arts workshops the Rhythm Kitchen has on offer. 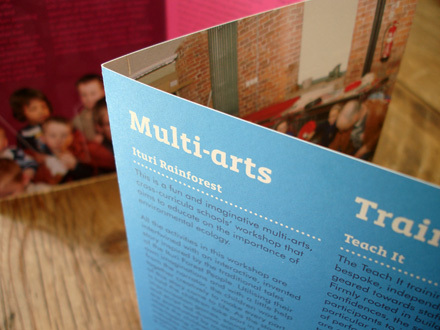 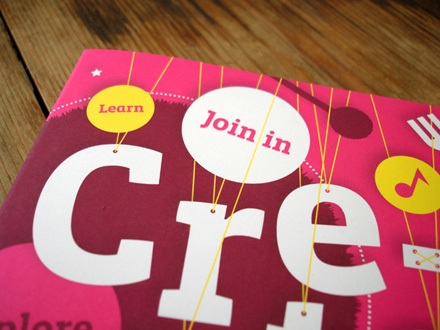 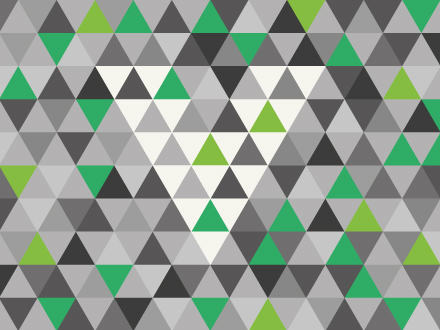 The brochure is printed on heavy, 100% recycled stock using vegetable oil based inks.